HPX is the Halifax Pop Explosion, an international music festival and conference that presents 150 bands in 20 venues over 5-days to over 20,000 fans and industry delegates from around the world. The first Halifax Pop Explosion was held in September 1993 and was the brain child of Halifax music impresario Peter Rowan and legendary Halifax promoter Greg Clark. Greg bowed out after the first year to focus on the Birdland Cabaret, and the festival continued to grow with the assistance of artist manager Angie Fenwick, and later with the help of Shelly McPhail. This internationally acclaimed festival drew accolades in Halifax, Canada and around the world.  THE SCENE magazine is your national voice on the indie music scene and we love the Halifax Pop Explosion! We’ve done our homework both big and small. This is what we offer as our TOP PICKS for the Halifax Pop Explosion 2012. Why:Â Â This partially British cat will blow your ears off/in. In a gentle and strange and sad way. Voice will float, sometimes stab. Guitar will support beneath, like one of those old train trestle bridges. Why:Â Â Ria Mae creates slick pop songs with universal themes of longing, love lost, and hearts found. Her debut full-length album, Under Your Skin, is produced by Asif Illyas (MIR) and won the 2012 East Coast Music Award for Pop Recording of the Year. Why: Starting every show in a huddle, some occult energy is summoned, deemed good, and exploded into a set of writhing, jagged pop songs as beautiful and dangerous as shards of broken glass. You’d swear they were on the war path, till a pure rock and roll howl and sharp guitar hooks bring you back to the indie universe. Why:Â Toronto’s hungriest band, clawing their way out of the underground with their saccharine-and-daggers hard rock. Fronted by rock’s most dangerous deity Priya Panda, the band shines on stage, commanding an audience all night long. Diemonds aren’t through until every single crowd member has had a real rock n’ roll experience. Why:Â Â Since forming in late 2002, their sounds have been labeled “death country”, “blackgrass” and even “urban hillbilly”, none of which truly capture the essence or energy of the band. With Elliott BROOD, the storytelling is paramount. The band presents tales from the dustier sides of life in dimly lit rooms with half empty bottles. Why:Â Â On their latest nationally acclaimed full length album, ‘TRACKS’, we find Newfoundlands Long Distance Runners further exploring their stoner rock and folk & bluesy roots. Again, clever wordplay, catchy melodies and sweet harmonies draw the listener into a compelling listening experience. Why:Â Â dVbbS is an electro/house duo from Toronto, Canada. Alex & Chris write and produce bangers that are sure to keep the party going. Their unique style allowed them to quickly build a loyal fanbase, which in turn allowed them to release their EP Initio in March, 2012. Why:Â Â In 2011, CAULDRON’s sophomore studio album Burning Fortune upped the ante for the band. The video track ‘All Or Nothing’ made its way onto the Rock Band Network and garnered more then 350,000 views on YouTube/Vevo. Burning Fortune also gained the band a JUNO nomination for Best Metal Record. Why:Â Â In a few short years, Dan Mangan has gone from globetrotting folk crooner to one of independent music’s most promising storytellers. Why:Â Â Jazz Times magazine calls Granelli “one of those uncategorizable veteran percussionists who’s done it all.” A Canadian citizen since 1999, Granelli burns with an intensity fuelled by a passion for “the pursuit of the spirit of spontaneity which drives the player.” A veteran of the San Francisco jazz scene, Granelli’s recent flourish of recordings has documented remarkable collaborations between the generations. Why:Â Â Â From his humble beginnings a decade ago as a teenager in Halifax- the illest redhead on turntables has since gone viral. Increasingly recognized for his comfort and versatility in different styles — hip hop, funk, disco, club, rock, and just about every other genre that will make you dance. Why:Â Â Â Describing her sound as ‘Doom Soul’, Cold Specks’ music is steeped in the musical traditions of the Deep South. With a voice that evokes the ‘spirit feel’ of Mahalia Jackson and the visceral tones of Sister Rosetta Tharpe, Cold Specks’ sparse arrangements and chain gang rhythms stop you dead in your tracks. Why:Â Â Â Gabrielle Papillon has a hook that clasps a handle on the heart— she simply breathes vocals.” “She’s a new kind of folk performer, almost a hybrid, a bit of an indie rock kid as well.” Her muse is the amalgamation of people in her life, or an imaginary scenario. Why:Â Â Â A dense cloud of fuzz bomb riffs, tribal rhythms, and hard (legal) drugs. An epically fierce explosion of blues, punk, and garage rock that dwarfs all those before it. Neither mythological beast nor unrepentant dipstick stands a chance of surviving the aural onslaught of The Pack A.D.
Why:Â Â Â Mo Kenney is 21 years old and resides in Waverley, Nova Scotia. Mo writes songs on a Hensel parlour guitar and enjoys singing them for people when the opportunities arise. A few of the songs are happy. Most are not.